We have some great news for all German-speaking e-Learners! 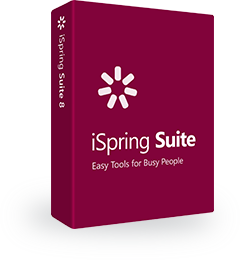 Recently, we’ve launched a new iSpring community in German. Now you have an opportunity to stay tuned for e-Learning news and upcoming events in your native language. The new community is named iSpring Deutschland. What cool stuff can you find in the iSpring Deutschland community? We’ve launched the community together with lern.link, our partner in Germany. lern.link is a full service e-Learning provider based in Germany. The founder of lern.link is German engineer and corporate trainer Guido Hornig. He has been developing e-Learning content and technology for more than 20 years. lern.link helps organizations develop a strategic e-Learning approach and solves practical challenges like training of e-Learning authors, and installation, configuration and hosting of LMSs. During the last three years, lern.link has also been delivering iSpring authoring tools to a broad audience, including the Moodle and ILIAS communities in the DACH region. Join the growing iSpring Deutschland community on Facebook, Linkedin and XING.